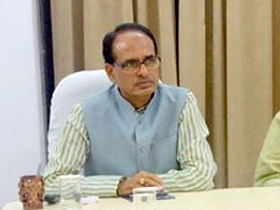 Chief Minister Shivraj Singh Chouhan said that unique examples of social harmony were witnessed at the places which were covered till date during the Narmada Seva Yatra. He said that yatra was started by the state government but the society has brought honour to it in the real sense. CM Chouhan was addressing the Jan-Sanvad programme at village Navdatoudi situated on Narmada bank near Kasrawad of Khargone district during the ‘Namami Devi Narmade’- Seva yatra today. He also walked four kilometer with the yatra. It is to be highlighted that women hockey team also accompanied CM Chouhan in the yatra. Around 75 thousand devotees took part in the yatra today. Minister for Panchayat and Rural Development Shri Gopal Bhargava was present on the occasion. CM Chouhan stated that the Indian daughters have brought laurel and have established prestige in the world in the field of hockey. He announced a cash reward of Rs. 25 lakh increasing the amount by Rs. 2 lakh. Narmada sanitation campaign was lauded by the Indian women hockey captain Sushri Sushila Chanu which bagged gold medal at Singapore. 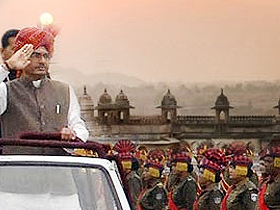 Chief Minister Chouhan said that Narmada seva yatra is the biggest river conservation campaign of the world. The yatra has been supported by Film Actor Shri Amitabh Bachchan and Play back singer Sushri Lata Mangeshkar. Moreover, the yatra is getting support from abroad also. He further said that plantation is not only the responsibility of the state government but it is the responsibility of society too. Plantation will be carried out on private and government land in one k.m. radius on both the banks of Narmada River. An amount of Rs. 20 thousand per hectare for three years will be provided to the farmer who undertake plantation at his land. Moreover, water treatment plants will be established in the cities located on the banks of River Narmada. Water after treatment will be provided to the farmers for irrigation. CM Chouhan said that contractors indulge in illegal sale of liquor will not be spared. He said that action will be initiated to impose ban on sale of liquor in the state with this campaign. CM Chouhan administered pledge towards Narmada River conservation on the occasion. 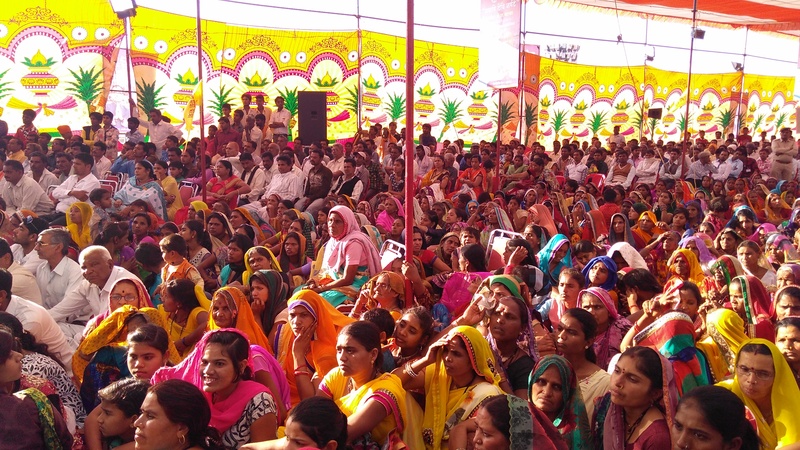 Chief Minister Chouhan appreciated the social harmony during the Jan-Sanvad programme. He said that people of all the religions are together sitting on the dais. This is a good tradition. CM Chouhan said that it is a matter of pride that people of different religions are bearing one-day expenses in public welfare. Religious Heads of Hindu, Muslim, Sikh and Christian community participated in the yatra.